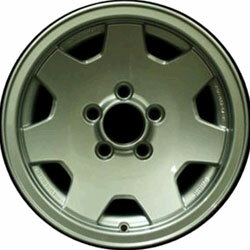 Looking to sell a set of four 1992 Mazda Navajo 14 x 7 OEM Wheels. They look like a Square Saw Tooth Pattern with a solid center. Asking $400/BRO + shipping if that is even possible, could get expensive ! There will be cost for packaging, shipping and insurance for whatever amount YOU want ! My time but I will take them to a Packing Store and just ship them so be prepared. Anyone interested make an offer. These are aluminum not Stamped steel. Would look good on a lowered truck. Best Offer for quick sale ! which wheels for the mazda? Mazda 6 wheels on a 94 Ranger?